The Asklepios Group today is one of the largest companies in the German healthcare sector. It currently operates more than 150 healthcare facilities with some 26,500 beds and over 45,000 staff in Germany and abroad. Corporate social responsibility in the group extends not only to its innate mission to provide high-quality medical care. The Green Hospital Program initiated by Asklepios in 2010 also created the first comprehensive network alliance promoting responsibility for the environment, medical prevention and sustainability. Hospitals, doctors, experts and partner companies in this forward-looking initiative are focused on developing approaches to a “green” hospital. As a member of the program, Kaldewei is presently fitting a model room at the Asklepios private clinic St. Wolfgang in Bad Griesbach with the seamless enamelled shower surface Xetis with integrated wall outlet as part of the research project “Greening the Patient Room – The Patient Room of the Future”. For the project, the shower surface was provided with the Kaldewei Secure Plus finish. Engineer Michael Scherer, senior project manager of Corporate Architecture and Construction of the Asklepios Group, explains the advantages of floor-level shower surfaces made of Kaldewei steel enamel for hospital environments. Mr Scherer, why is sustainability such an important aspect to the Asklepios Group? What was your experience with materials used so far? How does damage caused by defective tiling affect hospital operations? So would you say that enamelled shower surfaces are the way to go then? Was the Kaldewei Secure Plus finish in any way a compelling factor for you? What is your experience with installing Kaldewei shower surfaces? Where do you see the trend in hospital design going? As part of the research project “Greening the Patient Room – The Patient Room of the Future”, engineer Michael Scherer from the Asklepios Group tests different products of partner companies in the Green Hospital Program under real conditions in the hospital. He has had bad experiences with tiled shower areas. 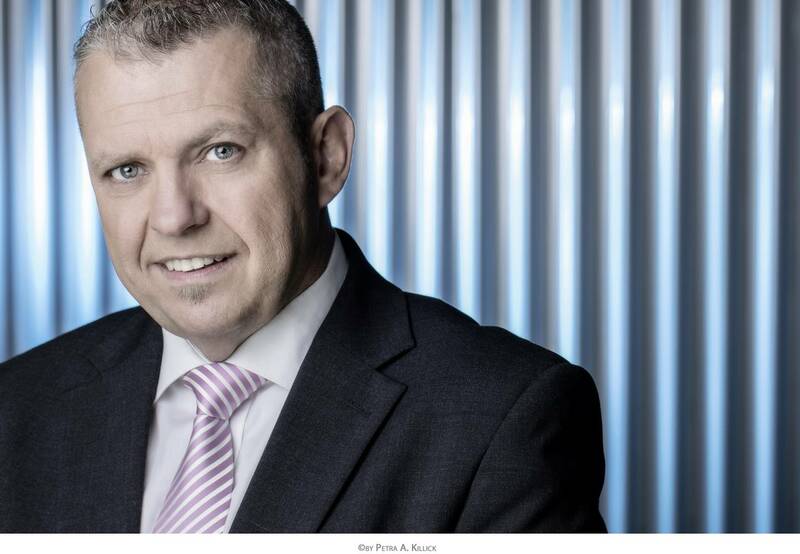 “Our approach therefore is to invest from the start in a quality solution without grout joints that will in the end last for much longer,” says Scherer. The enamelled shower surface Xetis with Secure Plus finish from Kaldewei tipped the scale for him. 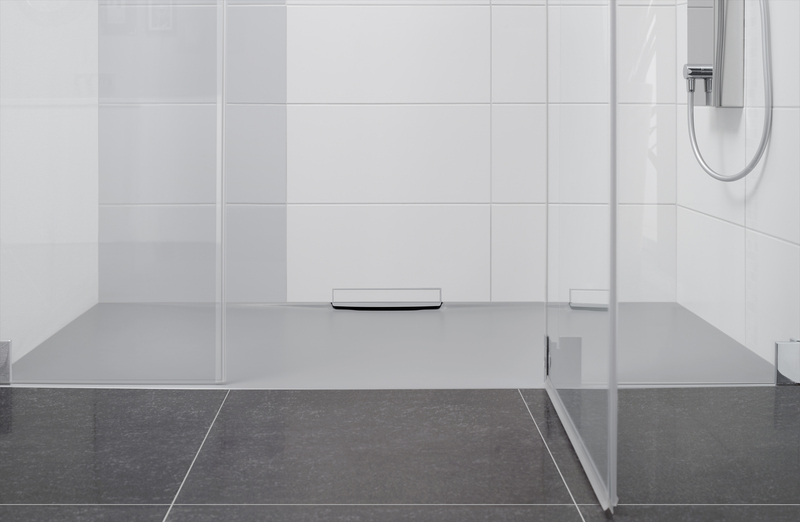 The system of enamelled shower surface Xetis, integrated wall outlet and installation system enables innovative designs of floor-level shower areas. No outlet disrupts the seamless shower surface, the technology is hidden in the wall. 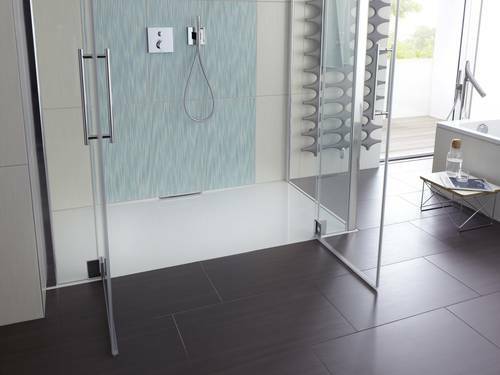 The surface of Xetis made of durable Kaldewei steel enamel is hygienic, easy to clean and protects against damage due to moisture penetration – a major advantage over other materials, especially tiled shower areas. Kaldewei Secure Plus is the first virtually invisible full-surface finish for enamelled shower surfaces. The German technical inspection association TÜV Rhineland has certified Kaldewei´s Secure Plus as having anti-slip properties compliant with quality class B for wet barefoot areas (DIN 51097) and quality class R10 for anti-slip characteristics in work spaces and working areas with an increased slip risk (DIN 51130).